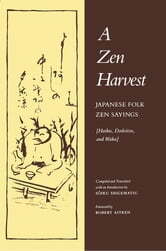 One of the vital aspects of traditional Rinzai Zen koan study in Japan is jakugo, or capping-phrase exercises. When Zen students have attained sufficient mastery of meditation or concentration, they are given a koan (such as the familiar “What is the sound of one hand clapping?”) to study. When the student provides a satisfactory response to the koan, he advances to the jakugo exercise–he must select a “capping phrase,” usually a passage from a poem among the thousands in a special anthology, the only book allowed in the monastery. 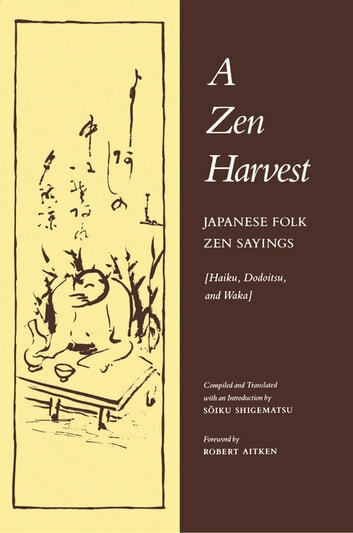 One such anthology, written entirely in Chinese, was translated by noted Zen priest and scholar Soiku Shigematsu as A Zen Forest: Sayings of the Masters. Equally important is a Japanese collection, the Zenrin Segosh**u, which Mr. Shigematsu now translates from the Japanese, including nearly eight hundred poems in sparkling English versions that retain the Zen implications of the verse.